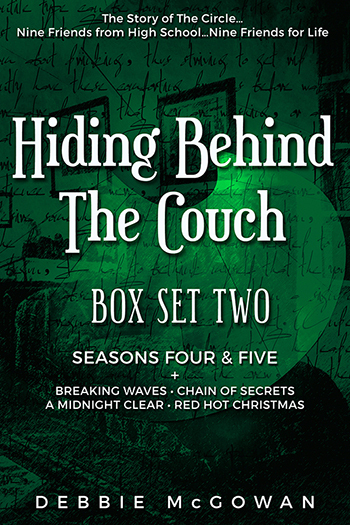 Hiding Behind The Couch is a multi-part series of stories surrounding a single group of nine friends that takes place over the course of many years. It is best thought of as a literary soap opera, with seasons and special episodes - some are 'character specials', some are 'festive specials'. All stories conclude, but there will be overarching plots that continue from one instalment to the next. The inspiration for the characters, events and settings is the real world, but all characters, events and locations are entirely fictional. The novels and novellas in this box set are also available to purchase individually.